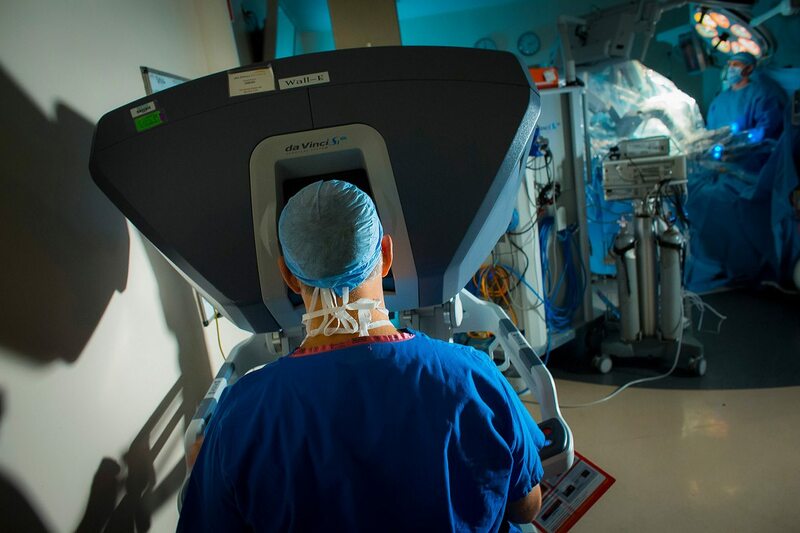 A national and international leader in robotic surgery, Hackensack University Medical Center has pioneered the use of robotic technology for conditions requiring surgery in men and women. Our highly experienced robotic surgeons use this state-of-the-art technology in a wide range of minimally invasive procedures that distinguish them as world leaders in robotic surgery. Our Center of Excellence for Robotics is among the top three largest robotic surgery programs in the New York metropolitan area. 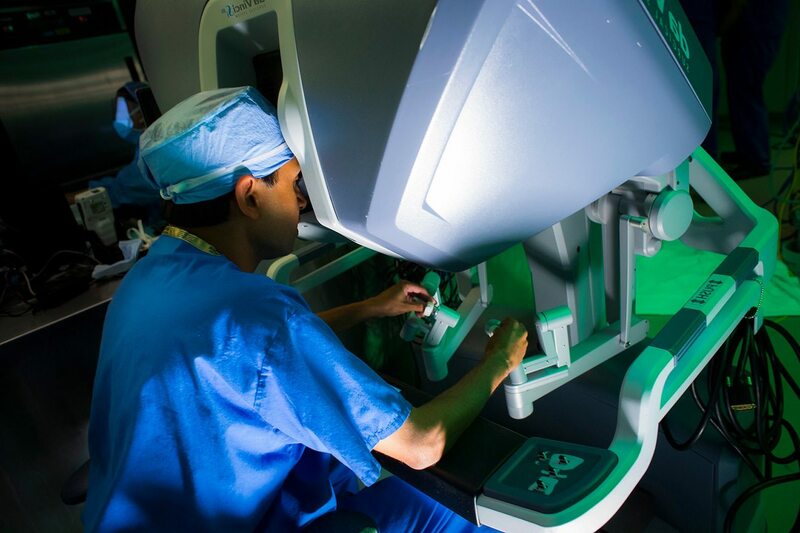 With a worldwide reputation for life-enhancing excellence, robotic surgeons at Hackensack University Medical Center provide patient care that is life years ahead. Robotic surgery offers surgeons many advantage over traditional surgery – greater visualization, enhanced dexterity and greater precision. Benefits to patients may include smaller incisions, reduced pain, fewer complications and faster recovery. Hackensack University Medical Center is the only medical center in the New York metropolitan area offering outpatient robotic surgical procedures. At our Center for Ambulatory Surgery, you can experience all the benefits of robotic surgery while recovering in the comfort of your home.